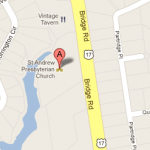 St. Andrew Preschool is located on Bridge Road (Rt. 17) in Northern Suffolk between the James River Bridge and I-664. From Suffolk and points south: Take Bennetts Pasture Road or Shoulders Hill Road to 17 N. (turn left on route 17 N.) Preschool is on left side of road. From Chuckatuck, Isle of Wight areas: Take route 10/32. Turn left onto route 125 E. (King’s Highway). Then turn left onto route 628 (Crittenden Road) Go to route 17 S. and turn right. Preschool is on right side. 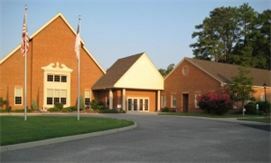 GPS Users: Use 2081 Bridge Rd Suffolk, VA 23433 to get to us.